Every-Tuesday is an education resource for ambitious graphic designers and hand letterers. Why ambitious? Because if you’re someone who’s ready to take action and are willing to put in the work to get there, *you* are my kind of person. Improving or beginning any professional skill takes time, but it doesn’t have to take forever if you know where to focus. This site was created to fast track design and lettering education into 4 separate offerings, allowing you to dive as deep as you’d like into any topic. 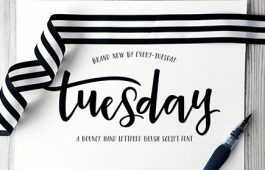 The Every-Tuesday Resource Library is stocked with over 50 free design and lettering assets so you can start experimenting and creating beautiful new artwork asap. Available to Every-Tuesday subscribers only. Dive deep into the subjects that matter most to you. All online courses offer bonus resource materials for quick learning and give you everything you need to know without any filler. Lifetime access and free updates included with every course. Looking for some quick tips and tricks? 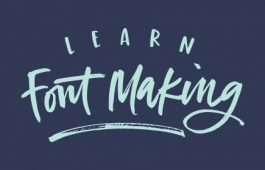 Check out new design and hand lettering tutorials (roughly 10-20 minutes) every month, all year long. 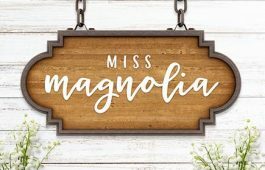 Need some unique textures or fonts to take your projects or artwork up a notch? Grab everything here and finish that design in a snap. I consider Every-Tuesday subscribers my digital bff’s! It’s with these fine people (of 25k and growing!) that I share so much more than what is seen on the blog. Where should we send your Every-Tuesday Resource Library password? Every-Tuesday began as a way to hold myself accountable to maintain consistency with new blog posts every week. As Every-Tuesday has grown and now extended into digital products and courses (and I have still remained one person), the Every-Tuesday mission has evolved into a public weekly call to creative action. In order for us to grow as designers, letterers and artists, consistent dedication to our craft is key. Life gets crazy. We know that. But, at the very least, we should be dedicating one day a week to pursue our side hustles, passion projects, or new creative interests. That’s where your Tuesdays come in – by Tuesday, you’ve gotten over the pain of Monday and are feeling the most motivated within the week. It’s the perfect day to exercise your creative muscles by clicking into Illustrator or grabbing that set of watercolors that has been staring you down 😉 A little bit every week really adds up over the course of a year! My name is Teela, I’m the second oldest of 4 and I grew up on 30 acres in Upstate NY. The harsh winters got the most of me, so after I completed my associates degree in Graphic Design, I transferred to (much warmer) SCAD in Savannah, GA. I completed my Bachelor of Fine Arts degree in Graphic Design in 2008. Over the next 6 years, I worked as a designer at a startup children’s gaming company, a boutique home furnishings business and a design studio in Atlanta, GA. While at the studio, I had the pleasure of working on many large projects with Coca-Cola, Visa, the winter and summer Olympic Games and many wonderful small businesses. Over time, I learned I had a knack for explaining complex tasks within the design programs to my studio coworkers. I thought others would benefit from these tips too, so I started a youtube channel in January of 2014. The kind responses were overwhelming, so I switched to more frequent tutorials soon afterwards. From there, I began teaching online courses. I met my husband, Spencer, at the studio and we married in the fall of 2014. Spence is originally from Colorado and completed his design education at The Portfolio Center in Atlanta, GA. As a designer, he’s worked on large projects for Coca-Cola, Powerade, FIFA, Visa, and the Olympic Games. He is a self taught web developer and the driving force behind the web design and development of Every-Tuesday. In 2015, we decided to pursue E-T together full time and haven’t let up since! In December 2018, we welcomed the newest member to our family: our daughter, Tuesday. She’s joined by her big sister + protective pooch, Nuna Petunia, who has been with me since March of 2009.